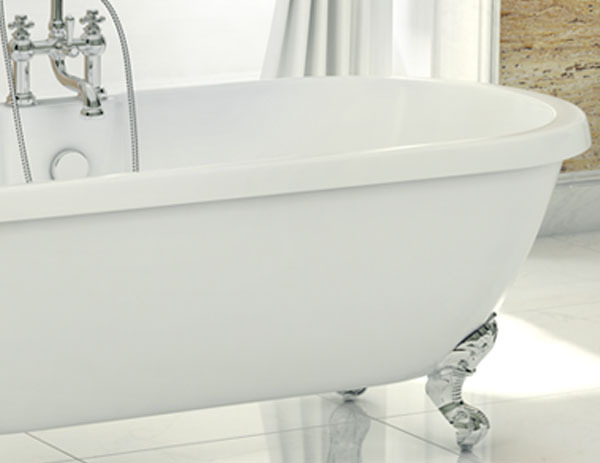 Wilmslow Traditional Freestanding Slipper Bath - Only £429.99! 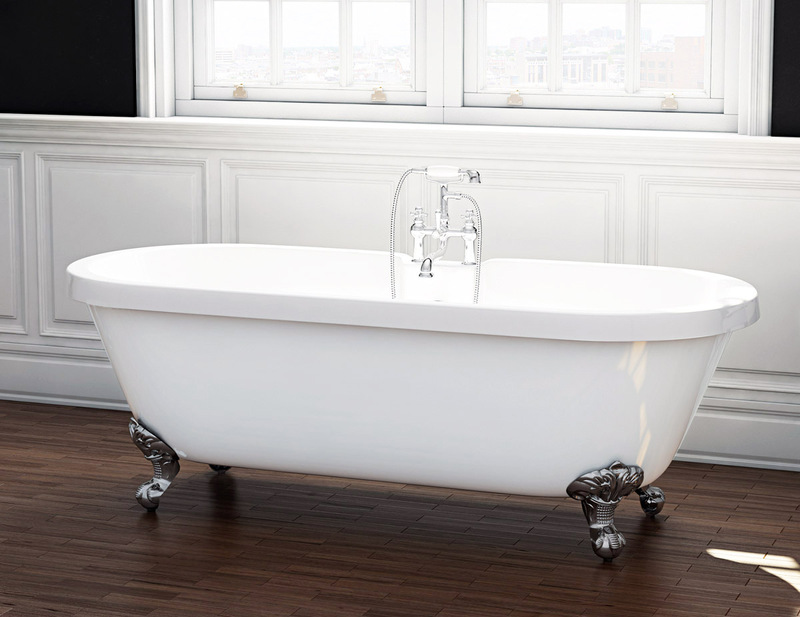 The Wilmslow Traditional Freestanding Bath is famous for its classical, vintage look which combines simplicity with timeless style and charm. This luxurious bath is the perfect way to pamper yourself thanks to its excellent build quality and marvelous heat retention - and thanks to VIP's commitment to value, this stylish luxury bath is available at an extremely competitive price. 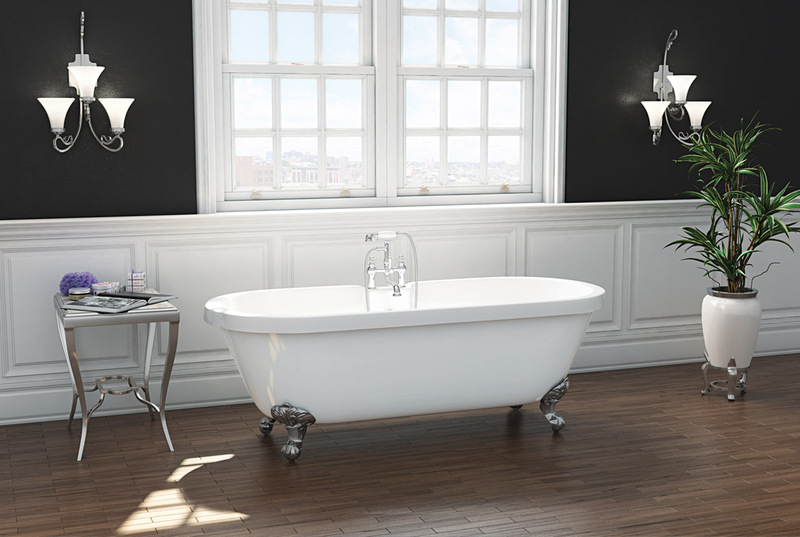 This stunning freestanding bath combines tradition with modern practicality, offering the best of both worlds. 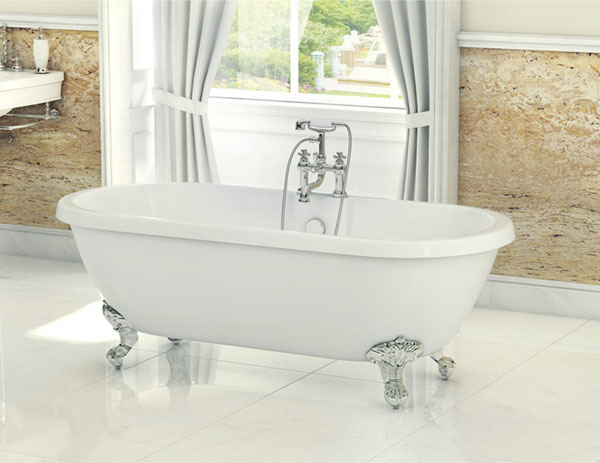 Noted for its stunning, eye-catching and stylish looks, this Traditional Freestanding Bath Range draws inspiration from Victorian style antiquity, resulting in a timeless and memorable appearance that will be the envy of your neighbours. 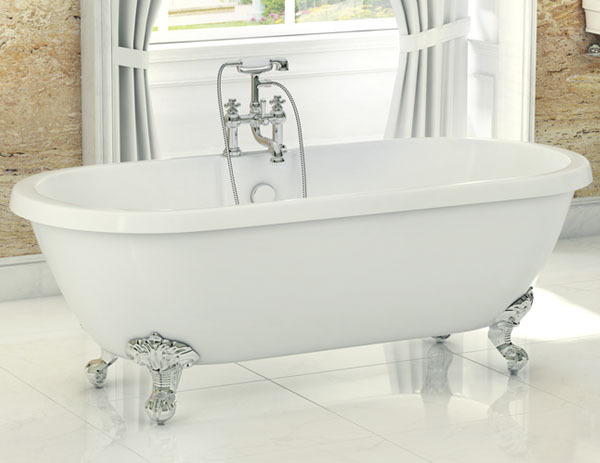 Supplied with sublime Chrome Ball & Claw feet, this regal bath would be at home in any traditional bathroom, providing an eye-catching centre-piece for your room. 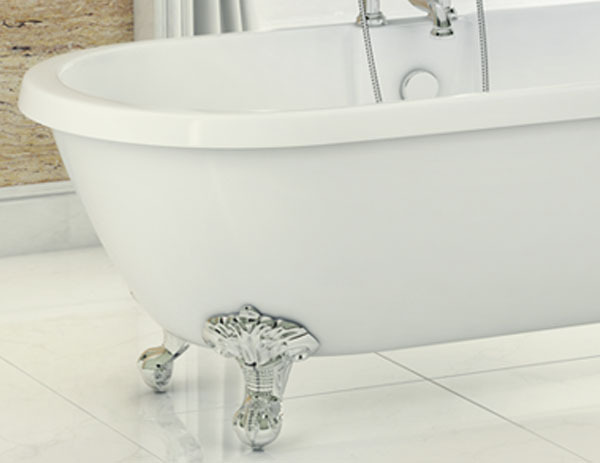 The bath's classical features are complimented by a highly effective and modern construction - built in a fine, high-quality acrylic finish, this traditional bath will be durable and luxurious for years and years to come. The bath is manufactured from two 6mm thick acrylic sheets which are then bonded together with Cast Resin Stone and Fibre Glass. This gives the Wilmslow Traditional Freestanding Slipper Bath truly excellent heat retention, allowing you a luxurious soak for a longer time. The smooth, sleek acrylic surface also makes the bath exceptionally easy to clean.